Because I liked Influence: The Psychology of Persuasion (Collins Business Essentials) by Robert B. Cialdini and Covert Persuasion by Kevin Hogan, this book on consumer psychology was recommended to me. 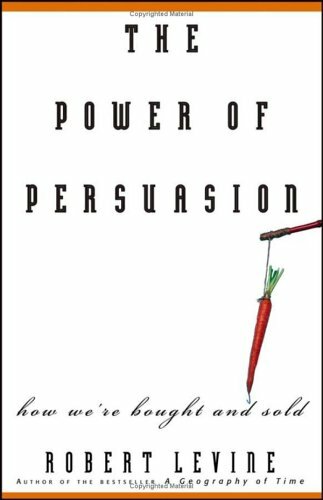 The Power of Persuasion: How We’re Bought and Sold by Robert V. Levine covered a lot of what I read in other similar books. The best chapter of the book had the author taking a job selling cars. He then broke down the sales process step by step and explained how each step increased the odds that the customer would buy the car. If you are going to go shopping for an auto, you’ll find reading that chapter very beneficial.